Cook a whole fish? With the bones and everything? That idea may seem intimidating, but it shouldn’t be—cooking a whole fish can be as easy as simply tossing it in the oven. Pats of butter and capers? Lemon slices and cherry tomatoes? You can work with nearly anything already in your pantry! 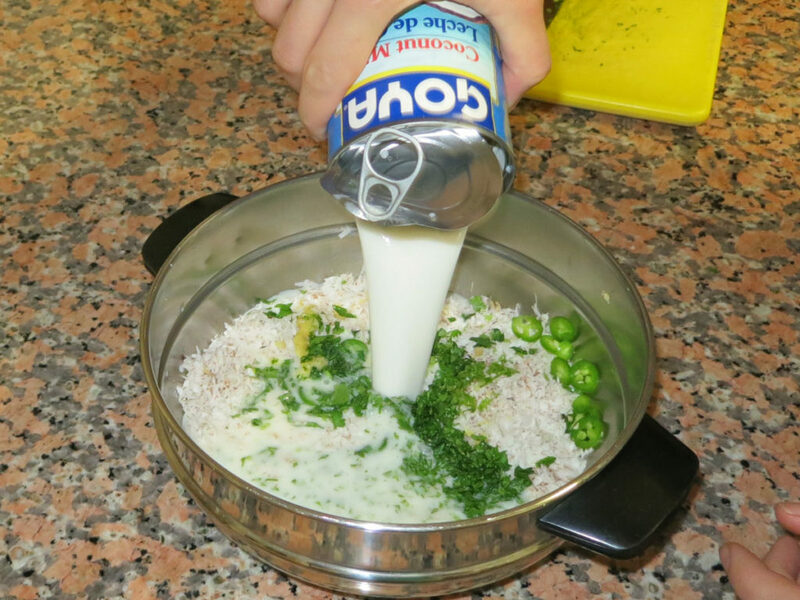 Here we’ve created a coconut marinade to braise fish in. We’ve used a golden pompano, with plenty of white, mildly sweet meat, but you could substitute another medium textured fish if you like. With just a handful of ingredients and some time in the oven, you’ll have a gourmet dinner with minimal prep. If you’re interested in buying pompano, give us a call! Clean and descale the pompano, removing all internal organs and gills, then score the fish on both sides to allow the coconut marinade/braising mixture to penetrate. 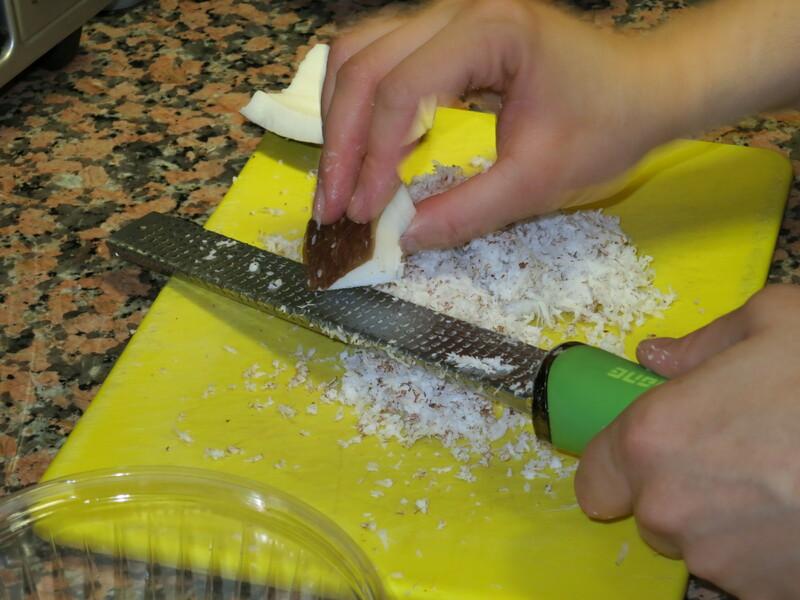 For the coconut marinade/braising mixture, combine all ingredients (except the fish) in a medium bowl and mix thoroughly. 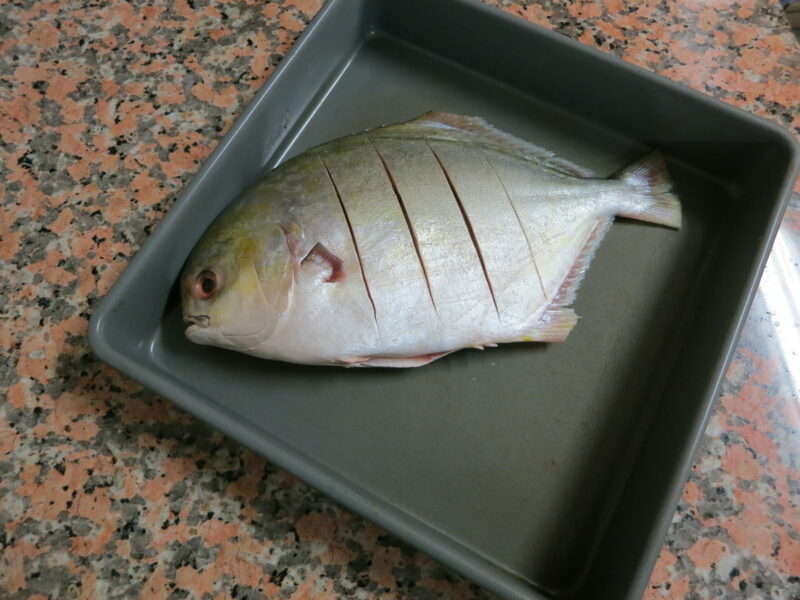 Spoon 1/4 of the coconut marinade/braising liquid into a non-reactive metal baking dish or glass baking dish, place the pompano in the dish and pour the remaining liquid over the fish. Cover with foil and refrigerate at least 1/2 hour (can leave overnight for a quick meal the following day). Preheat your oven to 375°F (this would be a good time to start some brown rice). 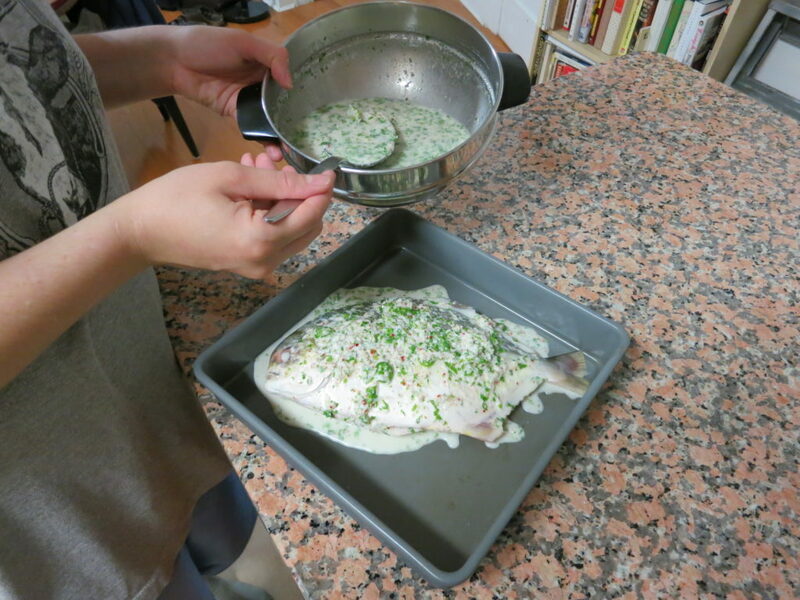 Once oven is ready, remove the fish from the fridge (still covered in foil) and place directly in oven. Cook for 30 min then remove from oven, peel back the foil (do NOT tear it) and flip the fish using a spatula and a fork (be very careful not to splash), then return the foil cover and place the pan back in the oven for another 20-30 min (this would be a good time to start some white rice). The fish is done when the flesh is opaque. Serve with wedges of lime to garnish. Don’t forget the meat in the head, as this fish has a good bit of very succulent meat in its ‘forehead’!